With several trips coming up in the next few weeks, I’ve been thinking a lot about how I need to update my luggage and travel gear. 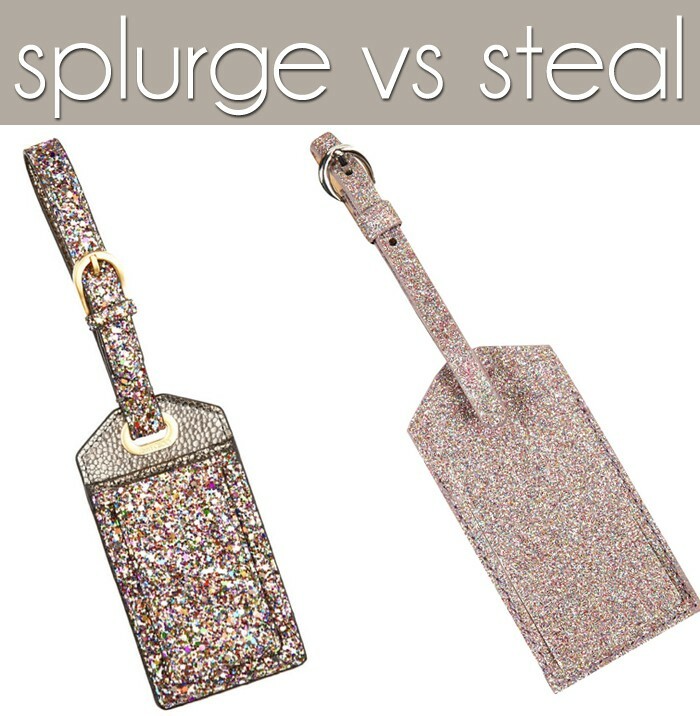 While perusing some travel totes, I happened upon these sparkly luggage tags, one being crazy expensive and the other stupid cheap. Since airlines don’t always handle your items carefully, I figure it’s probably better not to splurge on such a frivolous item. Buy the splurge here and the steal here.